Uzwil (Switzerland), November 17 – Mass Challenge Switzerland celebrated the achievements of the start-ups in the 2017 program and awarded seven of the highest-impact finalists with a total of CHF 400,000. What’s more, MassChallenge announced its partnership with the EIT Food Accelerator Network, a multi-location accelerator program delivered across Europe to support high impact food-space start-ups to maximize their success. Bühler is founding partner of MassChallenge Switzerland. 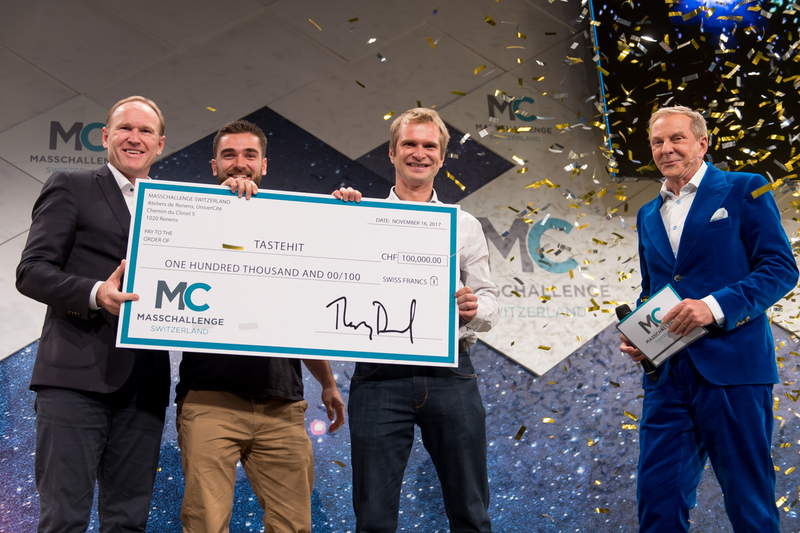 Seven companies out of the 75 startups accelerated this summer at MassChallenge Switzerland have been selected by the judges to receive the non-equity cash prizes of CHF 400,000 in total at the award ceremony yesterday in Basel, Switzerland. Based at UniverCité in Renens, these startups have been judged on their capacity for high-impact and high potential, as well as their progression through the four-month program. This year’s cash prizes are split into two “Diamond” prizes, with a value of CHF 100,000 each, and five “Gold” prizes with a value of CHF 40,000 each. As part of its commitment to entrepreneurship and collaborative innovation, Bühler is a founding partner of the start-up accelerator MassChallenge Switzerland. 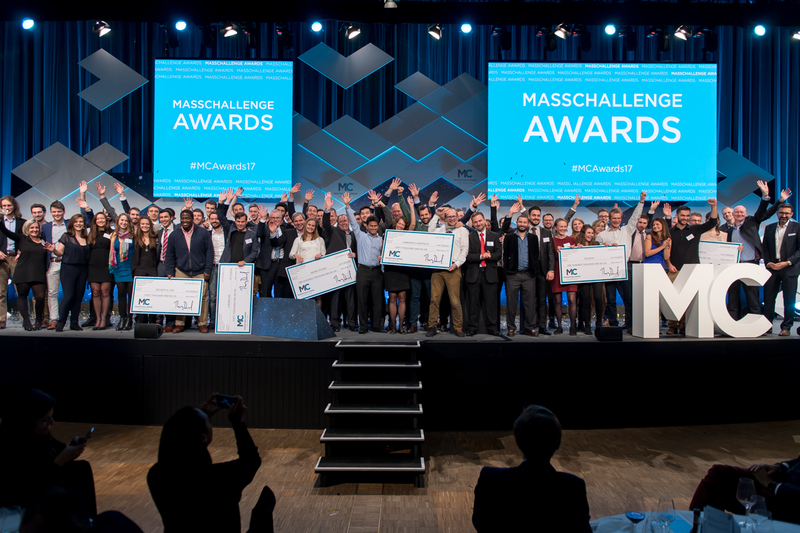 Stefan Scheiber, Bühler CEO, said at the award ceremony: “With our involvement in MassChallenge, we bring entrepreneurial flair and innovation power to our organization. Especially digitalization offers a huge potential to improve performance, quality and efficiency of our solutions. Last but not least, it is a valuable contribution to the strengthening of Switzerland's position as a centre of vision and action through young entrepreneurs”. Ian Roberts, Bühler CTO, added “Innovation is at the core of Bühler’s business. As part of our innovation strategy, we support and foster open and collaborative innovation and invest up to 5% of our turnover into research, development and programs such as MassChallenge. In our fast driven and complex world, innovation demands collaboration – with customers, the science community and start-ups. The collaboration and support of MassChallenge partners like Bühler, Nestlé, Givaudan, GEA, Barry Callebaut, Inartis and the Swiss Economic Forum helps us develop talent, create jobs and commercialize new technologies within the industry”. 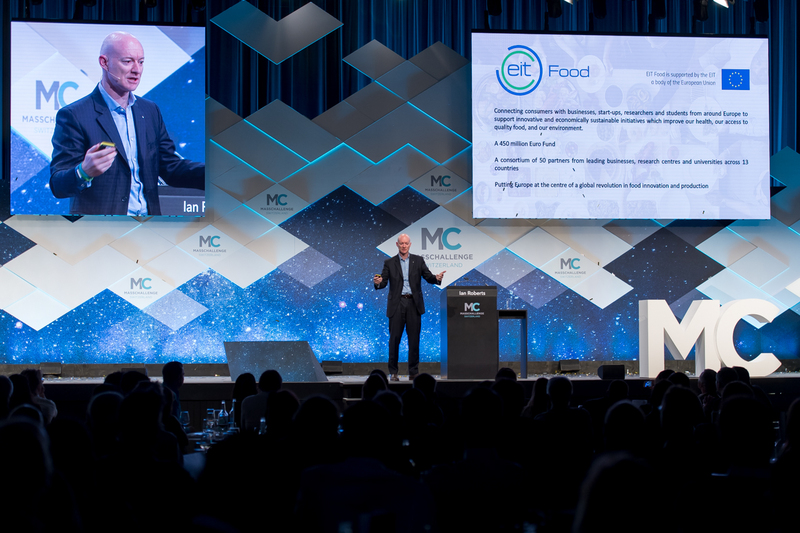 At the same event, MassChallenge announced its partnership in the EIT Food Accelerator Network, a multi-location accelerator program delivered across Europe to support high impact food-space start-ups and maximise their success. Driven by a consortium of EIT Food partners, representing the very best in academic and Industry expertise in the world of food, with funding awarded by EIT, and with the experience of MassChallenge in helping high-impact start-ups succeed, the EIT Food Accelerator Network aims to make Europe the go-to innovation hub for the world’s most promising food space start-ups. Applications for the organization’s first acceleration cycle will open in January 2018, with accelerator programs running in Haifa (Israel), Lausanne (Switzerland), London (UK) and Munich (Germany). More information about EIT FAN: www.eitfan.com.